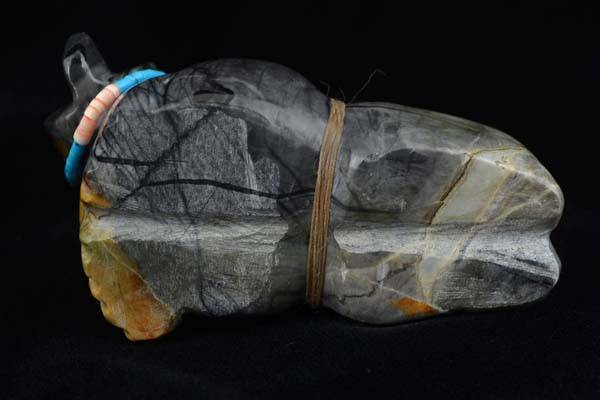 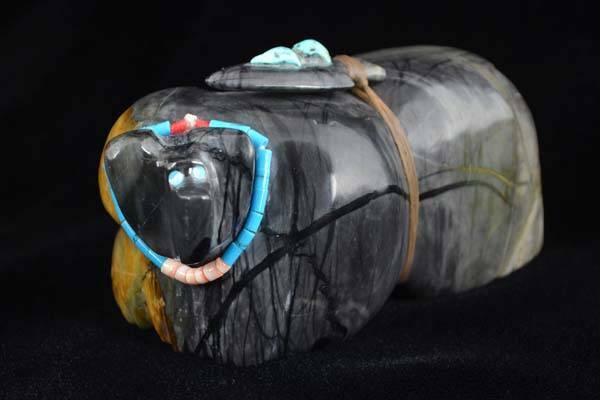 This beautiful bear was created by Native American artist Robert Kionut. 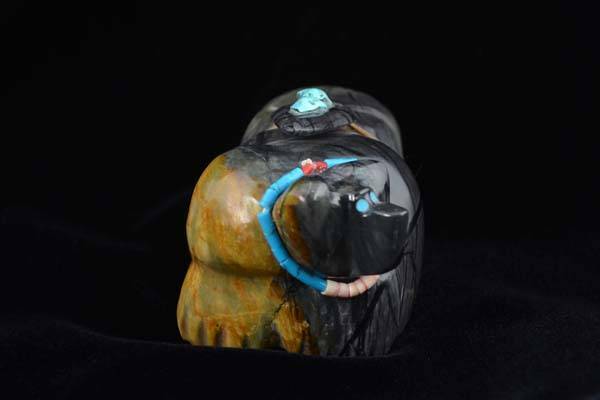 This beautiful bear was created by Native American artist Robert Kionut. 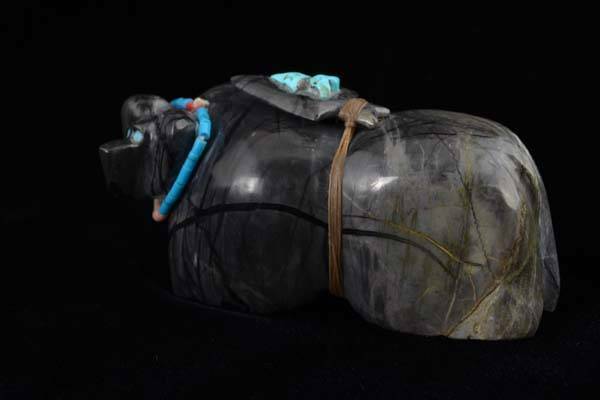 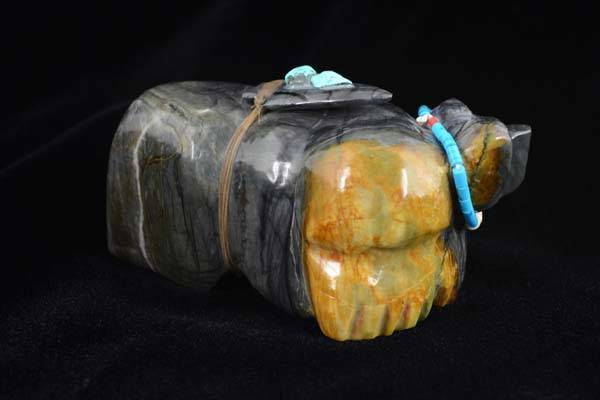 The bear is carved out of Picasso marble and around its neck sits a turquoise and coral necklace This is a very special one of a kind piece and large bears of this size are not too common.